Torbay, Devon, England.The Friends of Babbacombe Cliff Railway (FBCR) association was created on March 28th, 2005 to promote the Babbacombe Cliff Railway. 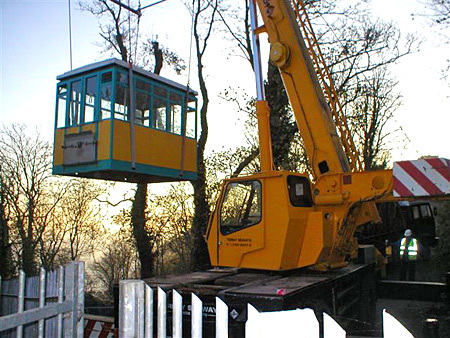 It is composed of more then 450 members who decided to restore the Cliff Railway.A Torbay Council press statement announced the council’s commitment to spend £571,000 on renovation work. The first phase, the relaying of the track and new cars will be carried out this winter. 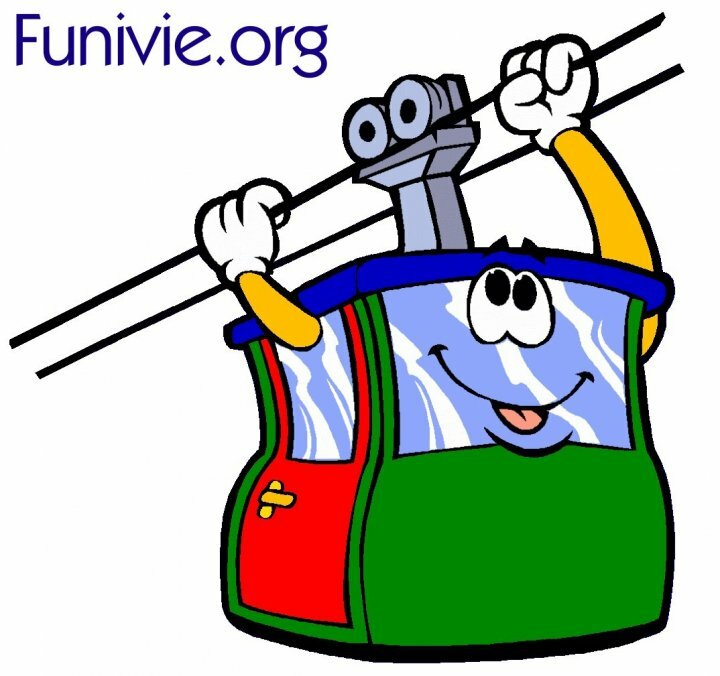 The Babbacombe Cliff Railway was taken out of service on September 30th at the end of the annual service. 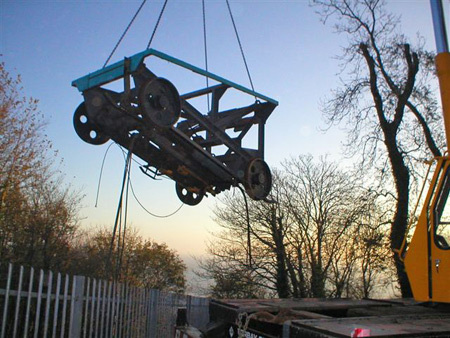 The cars were lifted on Wednesday 23rd November. The track work starts in two weeks. 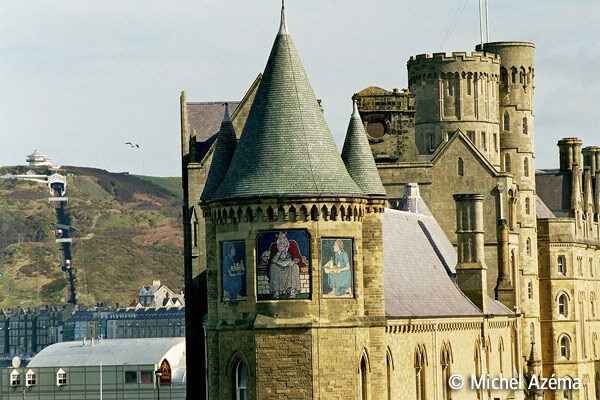 LECS (UK) Ltd will then reassemble the cars in February and re-open the cliff railway on 1st April 2006 in time for the 80th anniversary celebrations.